If anyone plans to make their own rails, please send me some pics of your project so that others can benefit from your experience. Of course the photos to the right show a Scrambler with and without the rails. 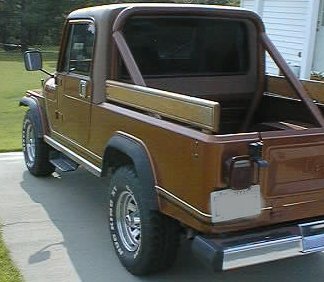 The rails cannot be used with a full softtop or full hardtop because they extend past the body line in the back. Of course if you want to make them fit with one of tops, have at it. 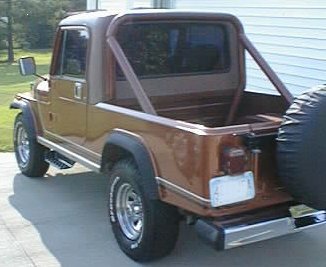 If anyone has a Scrambler with a Tonneau cover and the Factory side rails installed, please send some pics of that combo.